Facial peeling is a very effective and at the same time aggressive procedure that involves the removal of a whole layer of the epidermis. Whatever qualitative it may be and no matter how successful it is, no one can foresee the consequences. Each skin reacts to such cleansing in different ways. To mitigate such a stressful situation, competent post-peeling care will be required for providing the maximum protection to damaged tissues, help them to recover faster and not allow too serious complications. Care after peeling will depend on what kind of cleaning was carried out – superficial, middle or deep. It is necessary to take into account the individual reaction: some consequences of the procedure may be quite expected, and others become serious complications. But there are several universal tips that should be adhered to, regardless of these factors. Follow these expert cosmetologist tips for t usually give them for consultations. Peeling is a radical procedure. You need to understand that you won’t be able to get out of the office of a beautician and go to a cafe with friends or work. Even with the surface treatment of the skin, you will have to stay at home for a few days. You must necessarily take into account the type of face peeling that was carried out. For example, the rehabilitation period for a superficial procedure lasts only 3-5 days and rarely leaves behind side effects. But with deep peeling, the recovery is not always within the framework of 2 weeks, as the fundamental layers of the dermis are traumatized. Accordingly, attention to the skin will require much more. Surface face peeling: This is the safest type of peeling, which is considered not traumatic. So, to care for the skin after it does not require complex manipulation. The next day you can use normal cosmetics that match your skin type, but with anti-inflammatory or wound-healing effect. Moisturize the skin as often as possible. Drink more pure water within a day (up to 2 liters). The main rule – do not use scrubs and gommage for 2 weeks. Keep in mind that the side effects of the surface peeling are flushing and flaking. Swelling is rare. Median peeling: Skin care after median peeling involves more serious measures, since the layers of the epidermis are severely injured and recovered for a long time. All remedies should be soothing and soothing. You can start washing off once a day, with water at room temperature. If there are any side effects, pharmacies should be used with the permission of a cosmetologist. Self-medication is strictly prohibited.After a medial peel on the face, edemas may appear, the treatment of which you must discuss with a cosmetologist in advance. Deep peeling: The defeat of the skin is so serious that some salons leave patients for 2-3 days in the hospital to monitor their condition. This is very convenient, as professional care is a guarantee of faster and better tissue healing. What if you are deprived of the opportunity to be constantly under the control of specialists? Take antibiotics and pain medications to reduce the risk of infectious diseases. Use for washing only light foam or milk without acids and alcohol. Some types of deep peeling (Jessner, phenolic, TCA) make it necessary to limit the contact of the injured skin with water for 2 days. The most complex face care after chemical peeling with phenols, as sunscreen means will have to enjoy all life. This is a very painful procedure, but one of the most effective. If you decide to have a face peeling, keep in mind that for a certain time you won’t be able to lead a habitual way of life. Care for damaged skin involves a sufficient number of prohibitions and contraindications that cannot be violated. Important: It must be understood that such a serious and traumatic procedure, despite all its effectiveness, if the rules of the rehabilitation period are not observed, can permanently leave unpleasant traces in the form of scars on your beautiful face. Therefore, all doubtful moments in advance negotiate with specialists in order to avoid complications. There is a list of things you can should do and shouldn’t do. Follow the recommendations on how to take care of your skin in the first hours and weeks. It is better not to go out in the street to reduce the aggressive effect of such unfavorable factors as sun, wind, snow, frost, etc. The cosmetologist on consultation should give the list of agents for care of the face after a peeling in accordance with the peculiarities of your skin type. They usually have protective, moisturizing, tonic and anti-inflammatory properties and contain antioxidants. Do not use decorative cosmetics, which directly falls on the skin: foundation, powder, highlighter, concealer, etc. Lipstick and mascara need not be excluded from the makeup. Don’t touch your face with your hands. If the peeling formed crusts, they should not be torn off in any case. Under them, there is a processes of regeneration, which you can break. They will wither over time and fall away. During this period, you shouldn’t change the brand and series of cosmetics. Use sunscreen products when going out into the street (and at any time of the year): headdress, creams with SPF-filter, dark glasses. Sunbathing is not allowed. Don’t visit saunas, swimming pools, solariums. Bathing in the sea and public water is categorically contraindicated. Some sources give advice on the use of home masks. Even if they have an anti-inflammatory effect, there is still a very high risk of infection, so do not try fate. Important: The rehabilitation period is about 2 weeks, so the basic rules will work during this time. Although the deadline may decrease, if the cleaning was superficial and everything went smoothly. But since the procedure assumes all the same traumatization of the epidermis, the consequences are rarely avoided. This is just the case when beauty requires sacrifice. In addition to general recommendations, care after peeling should be carried out taking into account the consequences of such an aggressive and stressful for the epidermis procedure. Some of them are quite expected and predictable. The cosmetologist at the consultation warns about their appearance and tells how to mitigate. Usually, problems, except for mild discomfort, do not arise, and they safely disappear within a week. Everything is much more serious, if the side effects acquire a scale of complications, which in themselves will require not only enhanced care, but also full-fledged treatment. So, carefully observe what happens to the skin in the first days after peeling and take the necessary measures in accordance with this. How to eliminate the expected side effects? The skin start to peel: This is a natural skin reaction to this procedure. Normally, it appears on the 2d day and completely disappears on the 7th. To speed up the process of regeneration and eliminate unpleasant peeling, skin care after face peeling should be actively moisturized. The cosmetologist recommends a preparation with hyaluronic acid for this purpose. On the third day, you can use grape seed oil, shea, or fatty acids. They will reduce the feeling of tightness and will not allow the formation of scars. Hyperemia: Usually, reddening of the face is observed after the median (remains for 5 days) and deep (remains on the face up to 2 weeks) peelings. What is the care of the epidermis in this case? There are many prohibitions: one should not engage in heavy physical exertion, be subjected to emotional stresses – in a word, one must avoid situations that can cause a rush of blood to the skin. You will have to seriously adjust your diet. Contraindicated: alcohol, spicy food, and marinades. You can consult a cosmetician about the use of Omega-3 during the rehabilitation period. 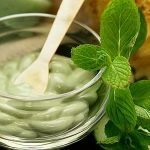 It will help the body to replenish the supplies of the necessary polyunsaturated acids and strengthen the damaged and weak walls after the peeling of the vessels. You can use cream. Edema: Edema appears if the skin is very thin or after TCA peeling (using trichloroacetic acid). Facial care when they occur is to moisten and regenerate the barrier layer that has been disturbed. Important: Restorative cosmetics must include antioxidants. These can be anti-edema ointments in the form of a gel or tablets Eufillin. Acne: Acne is definitely an abnormal skin reaction to peeling. Usually, this happens if care for the person is insufficient or wrong. If they have appeared, it is necessary to address for consultation to the expert. Depending on the type and scale of the rashes, you will be prescribed sebostatic, anti-inflammatory, antibacterial or zinc-containing preparations. Allergy: To avoid allergies, before the procedure you need to inform the cosmetologist about your propensity to this disease. There will be a test-control, whether the preparation, which peeling will be caused with, will not cause a negative reaction.In addition, after the procedure, it will be necessary to use exclusively hypoallergenic drugs throughout the rehabilitation period: foams, gels and creams – this is the basis for post-peeling care in this situation. If you still cannot avoid rashes, you need the help of a specialist who prescribes antihistamines in the form of injections, preparations for ingestion or ointments for external use. Scars / scars / crust: After a burn with acids, a crust may form and then a scar forms. The main care in this case involves hygiene and maximum sterility. The main thing is not to carry the infection, so that the process of inflammation and suppuration does not begin. 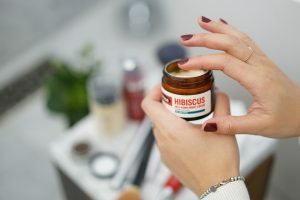 The crust must dry out on its own and fall away with time.The cosmetologist can prescribe wound healing drugs that will accelerate the regeneration process of damaged tissues: Panthenol, Bisabolol, Retinol, and others. Hyperpigmentation: Peeling is a seasonal procedure. It is recommended to conduct it in late autumn, winter or early spring (March), when the activity of ultraviolet is not so strong. If the face is cleaned at another time of the year, contrary to these indications, without adequate preparation of the skin with the help of retinoic and kojic acids, you can later suffer from hyperpigmentation. If the spots have appeared, first of all, you need to protect your face from the sun and sunburn. Note: If you have an exacerbation of herpetic infection of any location, then before the peeling should start taking antiviral drugs. If necessary, continue during the rehabilitation period. If you are prone to acne, then after cosmetic manipulation should use antibacterial drugs with zinc. Before cosmetic manipulation, it is undesirable to carry out mechanical cleaning of the face. Important: Care involves the rejection of preparations with oils of lemon, bergamot, lavender, cinnamon, orange and extracts of clover and St. John’s wort. In especially neglected cases, the beautician can prescribe whitening salon procedures. As you can see, the effects of face peeling can be different. So, get ready for increased care in the first 2 weeks after the procedure. If everything is done correctly, in accordance with the emerging reactions and recommendations of the cosmetologist, the rehabilitation period will decrease, as tissue healing will go much faster. Hence, the results (beautiful, renewed, elastic skin) you will see earlier. How to Do Beautiful Permanent Makeup in 4 Steps?